The Honeywell 5808W3 is a 3V lithium powered, photoelectronic smoke/heat detector with a built-in wireless transmitter. It is intended for use with any 5800-Series Wireless Receiver/Transceiver for residential installations (for commercial installations, the 5881ENHC or the 5883H receiver is required). The transmitter can send alarm, tamper, maintenance (when control panels are equipped to process maintenance signals), and battery condition messages to the system's receiver. Smoothing algorithms minimize nuisance alarms by smoothing out short term spikes from dust and smoke virtually eliminating nuisance alarms. Since there are no holes to drill or wires to run, you can preserve the beauty of the building while protecting it. 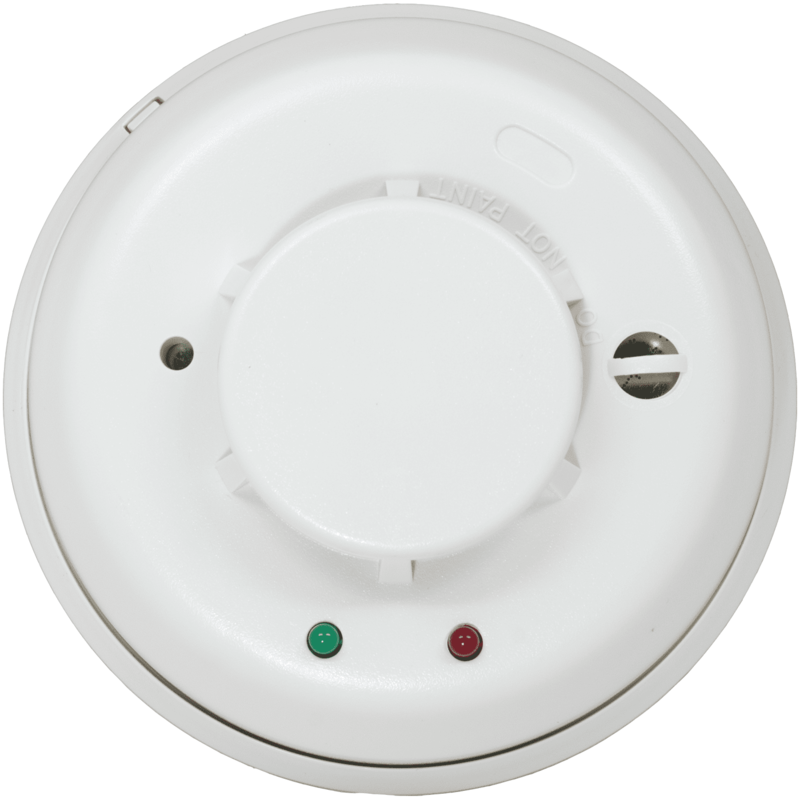 The 5808W3 is an ideal smoke detector for those difficult to wire locations, applications where room aesthetics are critical, or where hazardous materials exist. All models also feature a restorable, built-in, fixed temperature (135°F) thermal detector that is also capable of sensing a pre-freeze condition if the temperature is below 41°F. The 5808W3 contains a piezoelectric horn which generates the ANSI S3.41 temporal pattern in an alarm condition. In alarm, a message is also sent to the wireless control panel. The alarm message is transmitted every 4 seconds until the smoke or heat condition has cleared and the detector has reset. During an alarm condition, pressing the detectors test switch will silence the piezoelectric horn for 5 minutes. Once the detector has reset, a RESTORE message is transmitted to the control panel. The built-in Drift Compensation algorithm automatically maintains the sensitivity of the detector. Once the detector reaches its limit of compensation, it transmits a maintenance signal to the panel. The mounting base installation is simplified by the incorporation of features compatible with drywall fasteners or other methods that provide a method for securing the detector in place. Dimensions: Diameter - 5.3", Height - 2.30"
Air Velocity: 1,000 ft./min. max. Standby Current: 8.5 µA avg.